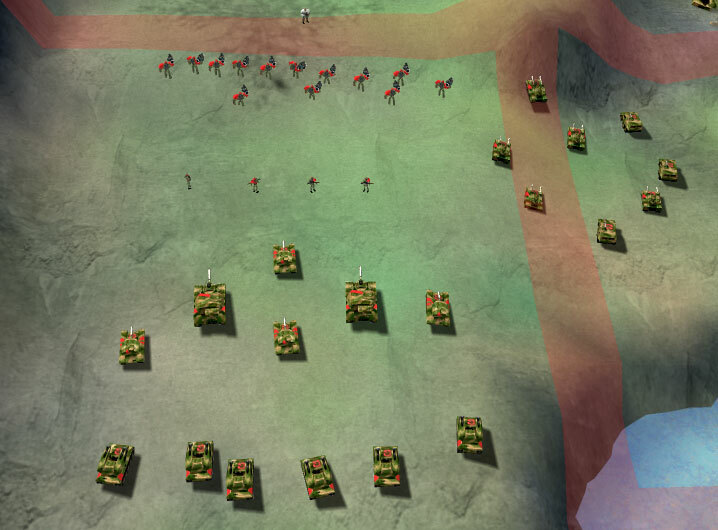 There's no definitive mix of units that will lead to a victory in Z:SS. 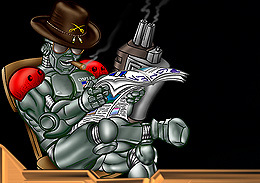 As for robots, up to patch 4, there's just not too much reason for psychos or pyros building as a mainstay unit, just build toughs for your mobile robot army. Nevertheless, you should use Pyros for bridge guarding (when you want it to stay destroyed), and to take out heavy anti-tank gun defenses. Psychos are great as a partner for the deadly mortar move-shoot tactic. But for christ sake, don't build psychos thinking they're marines and mortars thinking they're siege tanks, or you'll suffere a miserable death. This is NOT Starcraft, ok?? Lasers are weak for their cost, so they should only be used on heavily unaccessible maps where they are easy to be kept out of enemy LOS up to the very last moment. As for the tanks, it really depends on the map since the tanks are heavily hampered by the terrain and the amount of resources the map offers. Read the Z:SS unit tips for more info. A super effective attack group in Z:SS. The above is a good real life example: group1 = toughs and a couple snipers, group2 = medium and heavy tanks, group3 = mortars, group4 = jeeps and light tanks, group5 = spies. The jeeps and light tanks can take out enemy mortars and protect your own when used correctly, and light tanks are specially effective against toughs. Try moving your spies really ahead of the attack group to save him from friendly fire. If enemy has spies, you'll lose them and have to rely on your snipers. When possible, get one spy guarding the mortars to give them the sight to be able to defend themselves. If you just want the snipers for their sight range and don't want them running into enemy fire, set them to neutral before the combat. You can still target them manually.